The big boost for Kitchener going into this series will be the return of the electric Justin McCombs. McCombs, who has missed significant time with an injury, returned to the lineup during Kitchener’s run at the Peterborough tournament last weekend. McCombs adds a huge element to Kitchener’s offense and allows the team to spread out their forwards three lines deep. Defense has been an issue for Kitchener as of late and they will need to focus in on the key Windsor forwards. Aaron Shaw, Adam Jeffery, Mitch Krieger and Tyler Tullio combined for 15 points in the three league meetings against Kitchener and scored all seven of Windsor’s goals. Keeping these guys in check will be huge tasks for players like Jameson Mitchell and Chris Adlys. Windsor has shown flashes this season, but hasn’t been able to string together a sustained run. At the beginning of the year, the Jr. Spitfires look like they could once again be a top team in the Alliance. Throughout the final few months, momentum couldn’t be kept. Not only will Windsor now be tasked with slowing down a motivated McCombs, they will need to keep other Jr. Rangers off the board. 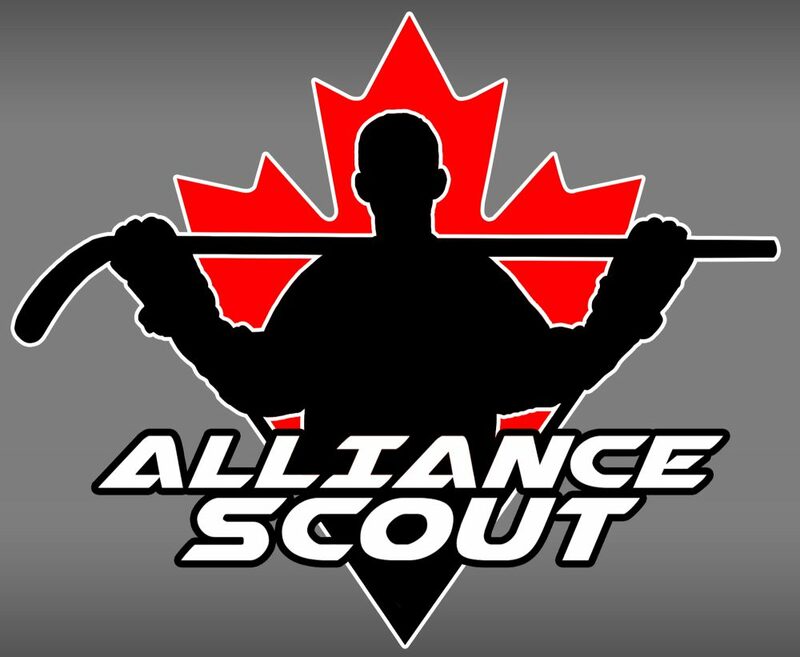 Cole MacKay, the Alliance leader in goals, notched four goals and five points against Windsor this season. Eric Maltby had four points and Zach Russell three goals during league play. Something both teams will be looking for is solid goaltending. Both teams have two good goaltenders, but neither team has had a goalie grab the reigns and solidify themselves as the number one. Should one netminder hit a hot streak, look for them to carry the load. Much like the series between Cambridge and Elgin-Middlesex, I see these two as fairly even matched. Both teams can put up goals in bunches which could make this a high scoring series. I will go with Kitchener taking this series in another one that goes five games in my mind. With the return of McCombs, Kitchener has a plethora of options up front that should produce consistent pressure. This entry was posted in alliance playdowns, Kitchener Jr. Rangers, ohl cup, Windsor Jr. Spitfires and tagged aaron shaw, adam jeffery, Alliance Hockey, alliance playdowns, alliance playoffs, chris adlys, cole mackay, Eric Maltby, jameson mitchell, justin mccombs, Kitchener Jr. Rangers, mitch krieger, ohl cup, tyler tullio, windsor jr. spitfires, zach russell by Dave Coulson. Bookmark the permalink.